While poor nutrition affects the health of your mouth and susceptibility to tooth loss, the reverse is also true. Those who already have missing teeth are more likely to suffer from nutritional effects, further increasing their risk of tooth loss. As more of the population ages, it is important for all of us to be aware of the nutritional effects of missing teeth. Whether you suffer from missing teeth or perhaps have a friend or family member who does, be sure to share information on tooth loss and how it can affect health. Everyone deserves teeth that support their choices in foods rather than hinder them. People who have missing teeth or dentures often struggle to chew all the foods they wish to eat. Without a full set of teeth, food selection may be narrow. Some people complain that they can’t chew vegetables or meats. Others will suffer psychological effects when they avoid socialising and eating meals out in restaurants with friends or family. The effect on food choice goes beyond just nutrition and influences lifestyle as well. In turn, they avoid these foods and eat softer foods that may be higher in sugar and fat. The sugars may consequently affect their oral health further, later leading to additional tooth loss where a person still has remaining natural teeth in his or her mouth. In more extreme cases, a person can actually suffer from malnutrition due to tooth loss, even if body weight is at a normal level. Severe avoidance of healthy foods and a focus on softer, unhealthy ones can lead to long-term problems such as vitamin and mineral deficiencies. This has an effect on the entire body and overall general health of the person. Hair loss, dizziness and fatigue can all be signs or symptoms of malnutrition. Even where weight gain occurs from softer, poor food choices, malnutrition can still be a problem due to deficiencies in important nutrients. An unbalanced diet, especially over the long-term, can lead to a number of health risks. Weight gain is an obvious one, particularly where soft ‘junk foods’ are chosen instead of fruits, vegetables and lean meats that a denture wearer might be hesitant to choose. From weight gain, there is a heightened risk of a number of diseases such as diabetes, stroke and heart disease. 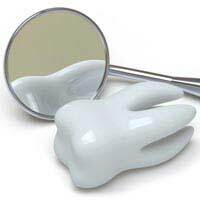 Another risk of a poor diet due to tooth loss is insufficient protein intake. Over the long-term, this can cause reduced muscle mass. A person may then be more prone to falls and can experience weakness. Osteoporosis is another concern if foods rich in calcium and co-factors are avoided. If you choose to have dentures, ensuring a proper fit is key to helping preventing nutritional effects from tooth loss. If you are unable to enjoy a wide variety of healthy fruits and vegetables and other ‘tougher’ foods, your health can suffer from malnutrition. Ideally, tooth implants are the approach you will use, namely because they are permanent and act as real teeth. You can enjoy all the foods you normally would with strong, natural teeth. If you are concerned about your tooth loss and the effect on your nutritional status, speak to a dentist about the options for replacing missing teeth. Hopefully you can get back to enjoying many different foods that support good nutrition and overall health.